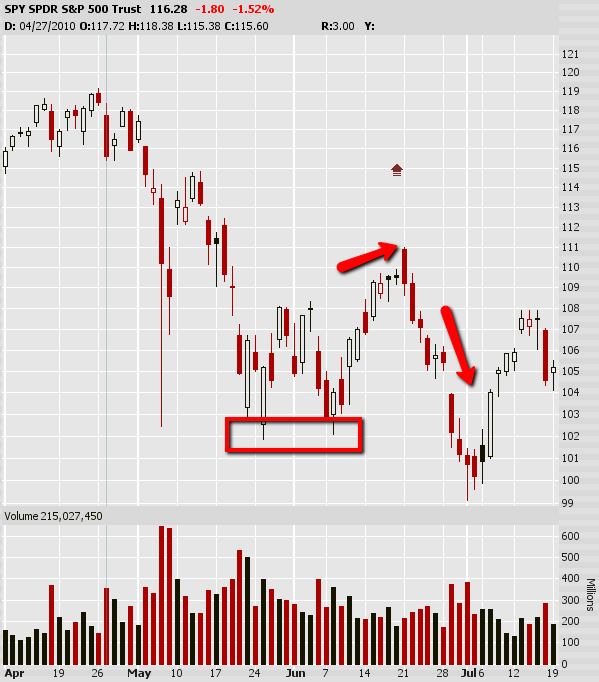 Feel free to browse the archive of posts here at TJMacTrading. When you’re finished come checkout our new home at EminiMind.com. 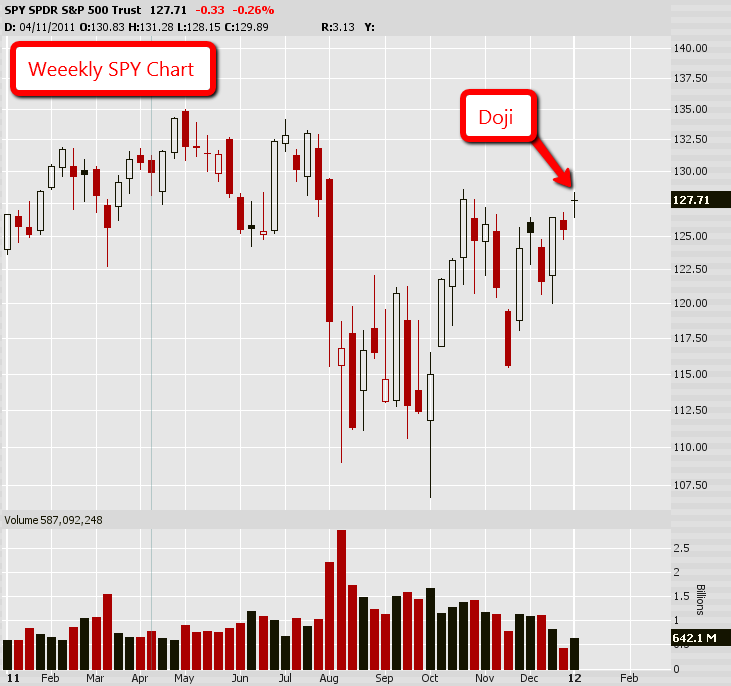 The markets formed a doji in week one of 2012. This is a sign of indecision and could be expected at the onset as traders and hedge funds begin to pick up trading again in the new year. That being said it is the long term investors which drive the long term trend of the markets. Aside from the intraday and a few small daily trends, we have really gone nowhere in the past year. We saw a few longs fire off last week with a couple shorts from our watch lists. Nothing significant showed itself over the weekend so we will sit tight with our current positions and patiently wait for the setups to occur. I would rather maximize my profits on the trades I do take rather than try to increase my number of winning trades. Here are a variety of trading videos for you to enjoy! 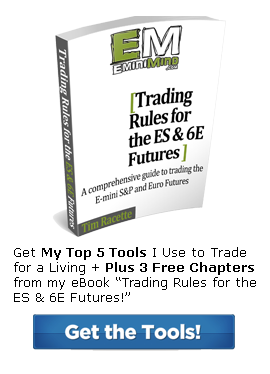 Everything from swing trading analysis, to intraday price action, the NYSE Tick, live trades, and examples of different indicators. Check back tomorrow for some stocks to watch this week. 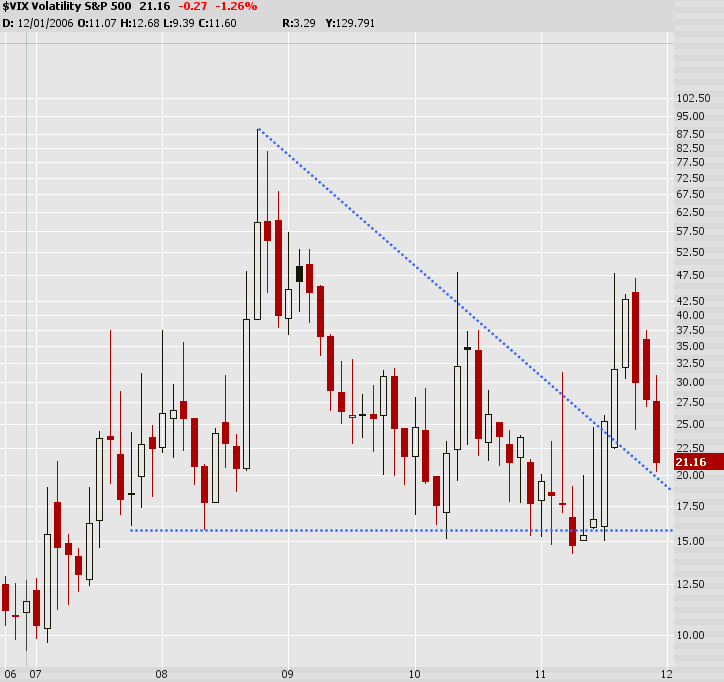 I leave you this week with a monthly chart of the VIX. 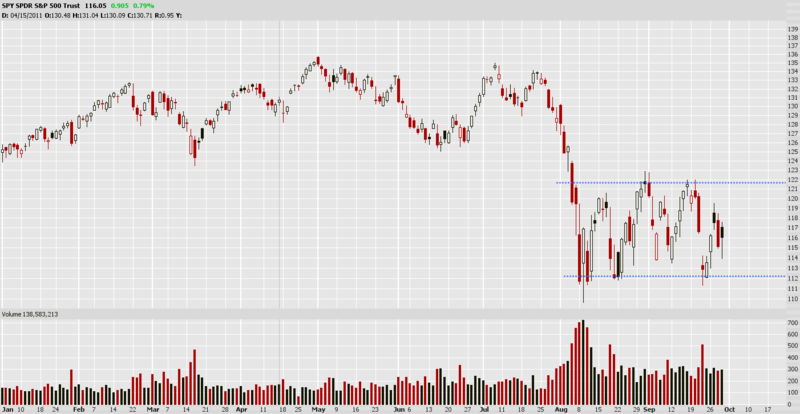 Notice how we broke out of the wedge and now have pullback to retest it. Once the new year resumes we will be looking for a bounce off this level which would induce selling in the broader market. If we can break lower on the VIX then the markets should continue higher. Stay tuned for new things to come in 2012! Grab the RSS Feed to have the daily watch list delivered via email. 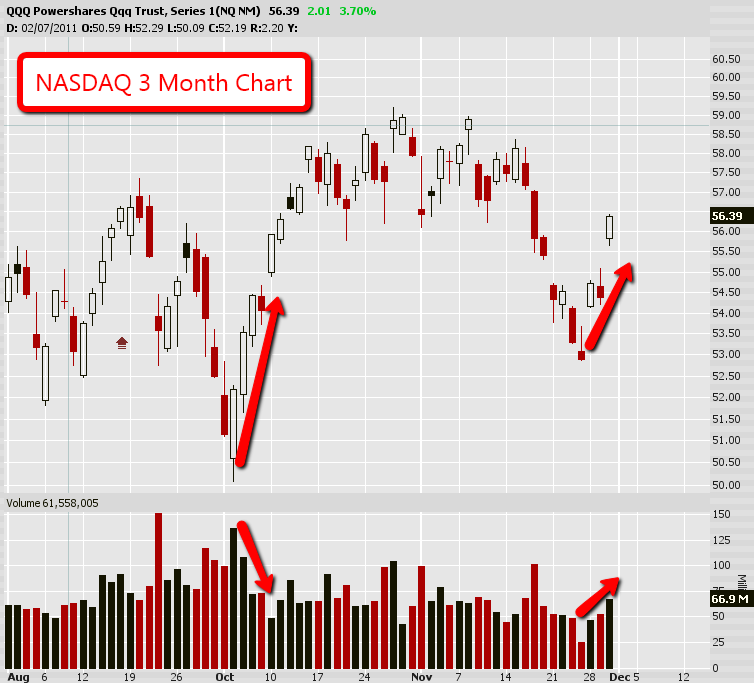 This is the first time in a long time we’ve seen increasing volume on the rally after a decline. 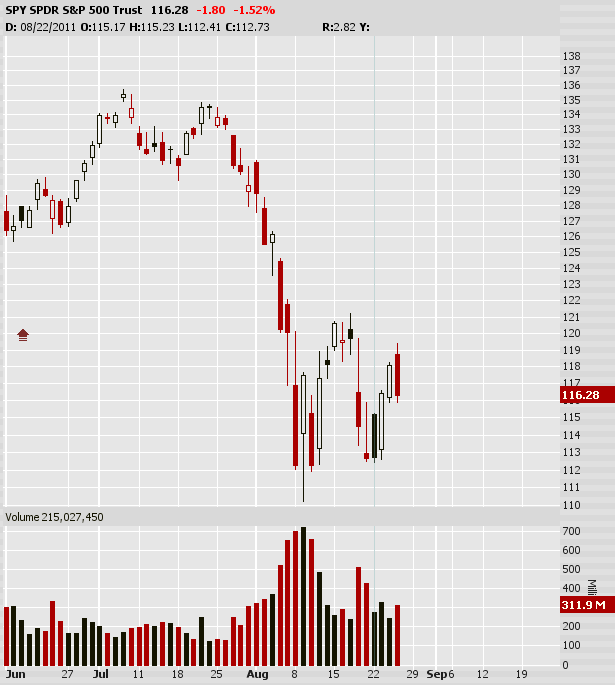 While a lot of this volume could be do t government intervention, it’s still a positive sign technically for the markets. The stocks we”re trading haven’t changed, refer to the last couple of posts for those tickers. Grab the RSS Feed to have the daily watch list delivered to your email. The image above should tell the whole story. We’ve been going sideways for the past two months. Surprisingly it has made for some decent trading, but just wait until we begin trending again. Things will really start to pickup in the options markets because the moves in the individual underlying will trend more. In these conditions of sideways and high volatility it’s important to stick to your rules and WAIT for your setups and remain patient. As always, think risk first, then reward. Both the S&P500 and the EUR/USD are setting up for extremely large moves which should begin to unfold into the end of 2011. With an election year in 2012, one scenario is that the US markets skyrocket to new highs and the EUR/USD breaks down and retraces back to its lows. This would imply a strong dollar and strong US market. 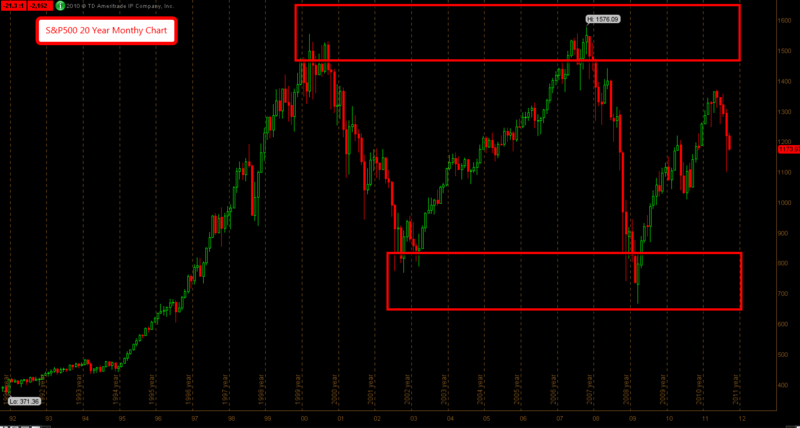 The second scenario is that the S&P500 sells off down to 2009 lows and the EUR/USD rallies to new highs. 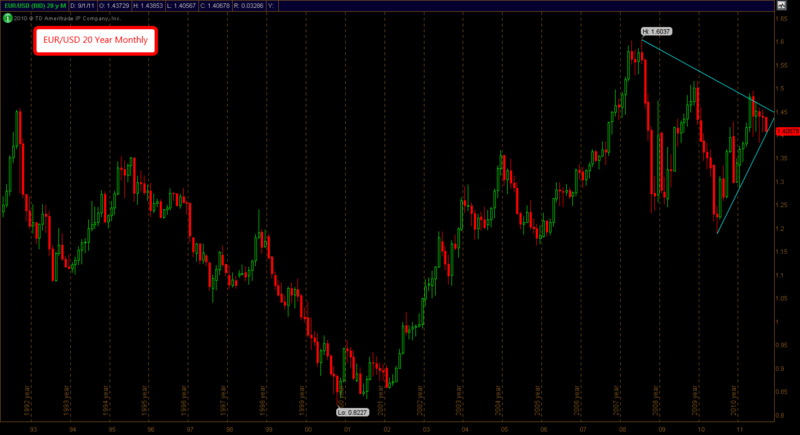 This would imply a weak dollar and weak US market. With federal spending and the budget deficit amassing the biggest US concern, a presidential shift to a more libertarian or financially focused president would be a good thing for the markets. We cannot continue to raise the debt ceiling, we must cut spending. Unfortunately, the problem has not been addressed at the core. As a matter of fact, I don’t think politicians even know what the problem IS. Simply put, the US is spending more than it’s consuming. It seems as though Washington would rather turn their heads instead of address the issue and cut spending. It may not be what the people want, but it’s what we need. The fair tax is one option. Ending social security is another. Both would be seen as radical ideas, but necessary as the US lurks closer and closer to a systemic collapse. If you zoom out to a daily you’ll notice it looks very choppy, this is one of the most difficult conditions to trade, just look at May 2010. Stay patient, watch for confirming breakout in the VIX if we do make new lows. A rally to 1225 on the ES before selling off again is possible.